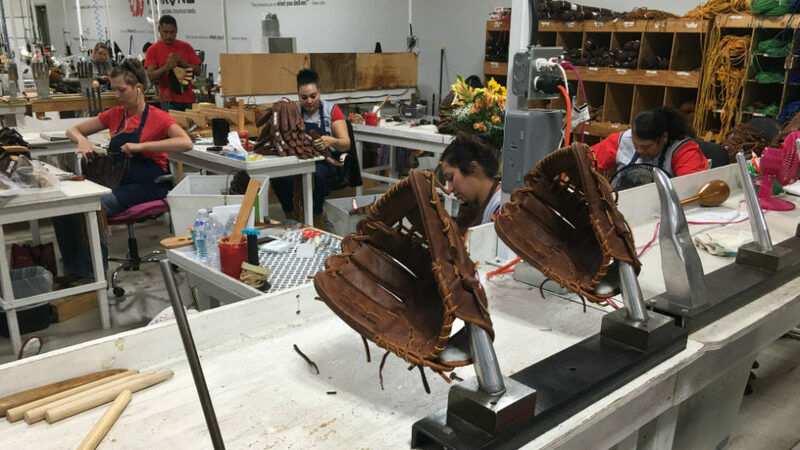 Texas-based Nokona has been making baseball gloves since 1934. 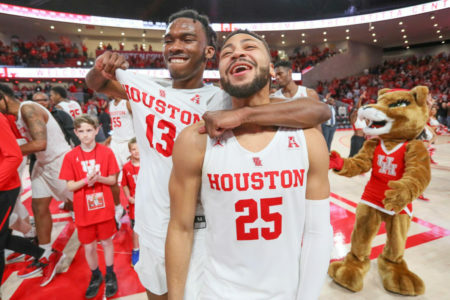 Most of their domestic competition has moved operations overseas where America’s oldest professional sport is little known. The Nokona baseball glove factory in the small town of Nocona, Texas, is one of the only remaining baseball glove factories in the U.S.
About 100 miles northwest of Dallas-Fort Worth, past pastures of crops and cattle, sits Nocona, Texas, population 3,000, home to the Nokona baseball glove factory, one of the only baseball glove factories left in the United States. Inside, there are stacks of tanned and dyed kangaroo, buffalo and calfskins piled at one end of the 20,000-square-foot one-story shop. “We literally bring leather in through one door and magically, ball gloves come out the door at the very end,” says Rob Storey, Nokona’s executive vice president. Storey should know — this is the family business. To survive the depression, his grandfather, Bob Storey, added baseball gloves to the family’s line of leather goods in 1934. Since then, just about every U.S. competitor has moved production overseas. Grandfather Bob, who died in 1980, said he’d rather quit and go fishing than import Nokonas. Nokona and its seventy-five employees make, market and sell their mostly handmade gloves in the town with same name. The brand honors Comanche chief Peta Nocona. The company couldn’t legally use the city’s spelling, so Storey’s grandfather changed the “c” to a “k,” and it’s been spelled that way ever since. 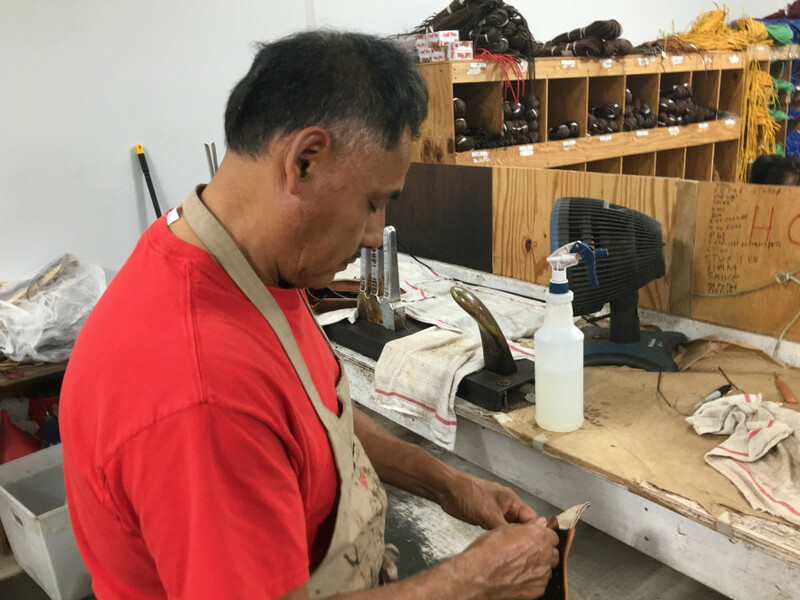 At about the midway spot on the factory floor, Martin Gomez is busy turning gloves, something he’s done for 19 years. It’s a big deal because every glove is first sewn inside-out, and Gomez is considered a master. Martin Gomez has worked at Nokona for 19 years. He is considered a master at making these baseball gloves. Storey says Gomez is modest. If he’s not careful, he can tear the leather and hand-stitching. Fast, practiced, yet efficient, Gomez slides a rod in each inside-out finger, pushes it hard against a wooden dowel and turns each leather finger back the right way. First, he sprays leather softener on the inside-out glove. Then, says Storey, he heats it on a 250-degree metal form. 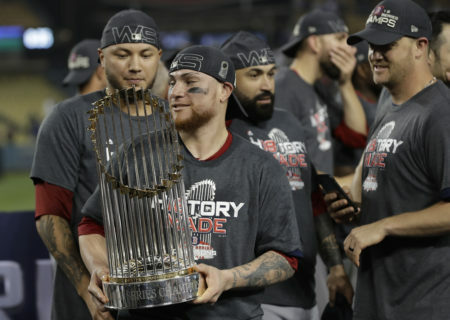 The game of baseball, after all, is what Nokonas are all about, even if the brand is not nearly as well-known as sporting goods giants like Rawlings or Wilson. In the youth market though, it’s big. And, says Rob Storey, Nokona is the only maker he knows of that will refurbish its old, tattered mitts. He says that doesn’t happen with gloves made overseas.